VANCOUVER, BRITISH COLUMBIA — He’s your best friend, your husband, your children’s father. You want to show him how much you appreciate him this Father’s Day. Over the years, you’ve bought him the ties, the socks and even some dress shirts. This year why not wow him while enjoying some romantic time together? It’s truly a win/win. 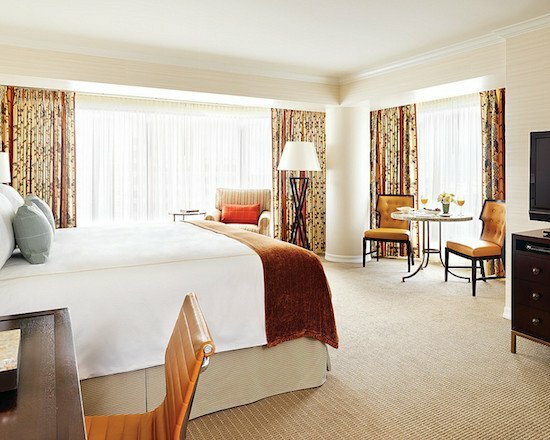 Here’s the plan: Why not pack up an overnight bag and jet off to a downtown hotel? It’s the closest thing to getting out of town without actually leaving town. May I suggest Four Seasons Vancouver Hotel? The staff is ready to greet fathers and treat them like the kings they are. Recently, Brent and I experienced a one-night staycation at the downtown luxury hotel. From the minute we arrived, we knew we were in for a pampering stay. After enjoying a glass of wine in our spectacular suite on the 24th floor overlooking the North Shore Mountains and Vancouver’s harbour, we ventured downstairs to the award-winning YEW Restaurant + Bar to partake in the hotel’s Father’s Day Surf ’n Turf three-course meal. YEW was bustling on this Friday night, filled with everyone from young families to millennial professionals to seniors and everyone in between. The energy in the room was palpable. Our culinary excursion started with a cocktail from the restaurant’s Oceans program and each course tantalized every sense. Then it was off to bed. To me, a key to a great hotel stay is the bed. I can’t tell you how addictive a ridiculously comfortable mattress, silky-smooth sheets, puffy down comforter and mountain of pillows are. We indulged in a rare, I mean really rare culinary treat — breakfast in bed. When the clock hit 8 am, we heard a knock on the door. The night before we had filled out our breakfast request and delivery time, and hooked the order on the outside door handle. Like magic, here was Matthew rolling in a white linen table with breakfast. Cocooned from the rain in our suite after a leisurely feast, we had to leave in our bathrobes and slippers for our one-hour couple’s massages at the RedCedar Boutique Massage Suite. With each stroke I felt myself completely surrendering to the expert hands of my masseuse. I swear I thought I heard Brent next to me purring. By the time we departed on Saturday afternoon, this destination hotel had ticked off all of my pre-requisites for a memorable staycation: cuisine check, luxury double check, wellness and great places to walk triple check (whether you want to head to Stanley Park and the Seawall or take in Vancouver’s vibrant city core). The amenities you get from the Four Seasons — access to the city’s only indoor/outdoor pool, wellness centre, fresh sheets, an ultra comfy bed and room service — make an ideal staycation for dad. What to Do: Guests can enjoy a workout in the state-of-the-art health club while taking in the spectacular mountain views — or enjoy a dip in the outdoor rooftop pool. The hotel also offers a free running and walking map — be sure to ask our concierge for a chilled bottle of water before you head out on your walk or cycle. Father’s Day: Enjoy brunch in YEW Restaurant + Bar. The three-course meal includes steak tartare, lobster and steak, and the sinfully delicious old-fashioned chocolate cake (one slice is big enough to share). 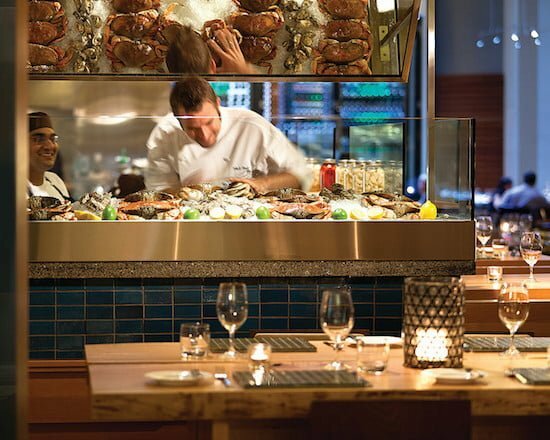 YEW’s focus is serving only 100 per cent Ocean Wise seafood and locally sourced ingredients, which is a testament to executive chef Ned Bell’s deep commitment to sustainable cuisine. The Father’s Day Surf ‘N’ Turf three-course meal is $85 (reservations recommended). Nightly Rates: Weekend rates start around $450 from June to September. For special offers such as 20 per cent off a two-night stay or discounts for locals, call 604-689-9333 or visit the hotel’s website.